With a myriad of laws and regulations to navigate, investing in property can seem overwhelming even on your home turf. This is even true if you are looking to purchase real estate overseas, where everything from the local customs to the legal requirements will be unfamiliar. As a guide for investors, global property website Lamudi takes a closer look at the laws international buyers are likely to encounter when hunting for real estate in some of the leading investment destinations in the emerging markets. At first glance, it may seem that buying property outright is out of the question in many countries. In the Philippines, for example, non-Filipinos are not permitted to own land. However, they can lease private land for a period of 50 years, and this lease can be renewed for a further 25 years. Additionally, the Condominium Act permits non-nationals to buy condominium units as long as total foreign ownership in the development does not exceed 40 percent. Similarly, owning property outright in Indonesia is a right that is reserved for citizens. Hak Milik, or right of ownership, can only be held by Indonesian nationals. However, Hak Pakai, or right of use, can be issued to both foreign individuals residing in Indonesia and foreign-invested entities. In Myanmar, a country which has attracted record levels of foreign investment following political and economic reforms, similar restrictions surrounding ownership apply. However, under the foreign investment law introduced in November 2012, international investors are eligible for land leases of up to 50 years, which can then be renewed for two 10-year periods. In Saudi Arabia, foreigners can own property outright but should still expect to face some restrictions. Foreign companies must have a legal presence in the Kingdom, while individual investors have to live in the country and must also hold a permit from the Ministry of the Interior. An important exception is the holy cities of Mecca and Madinah, where only Saudi nationals are entitled to buy property. In Jordan, similar rules apply. Individual foreign investors can buy property for residential purposes, provided that their country of residence has a reciprocal relationship. International buyers will need to seek approval from the Cabinet (Council of Ministers), as well as from the Minister of Finance or the General Director of the Survey Department. Investors from other Arab nations are exempt from this requirement. In Mexico, whether a foreigner can buy property outright depends on the location. Restrictions are placed on foreign ownership of land in a prohibited zone which includes land that is within 50km of the coastline or 100km from the country’s international borders. The restriction is included in Mexico’s 1917 constitution and reflects fears from that time about the United States’ expansion. However, foreigners can still acquire property within this restricted zone through a bank trust, known as a fideicomiso. Likewise, few restrictions exist for foreign buyers in Peru, unless the property is located within 50km of the country’s border. Elsewhere in Latin America, international investors face very few limitations. In Colombia, foreigners looking to invest in property have the same ownership rights as citizens of the country. Even tourists can acquire property here without proof of residency. Foreign investment in property in many African markets is restricted. One notable exception is Morocco, which is open and actively attracting foreign buyers. Foreigners are not required to hold residency in order to tap into the country’s booming property market. 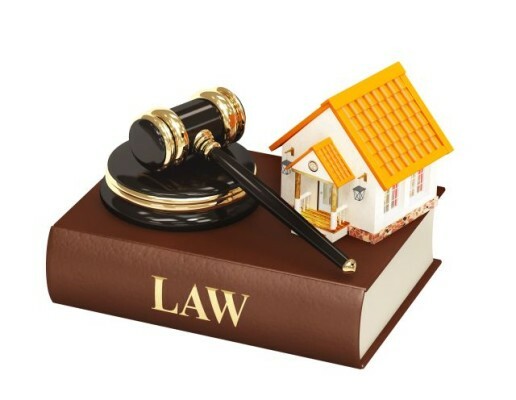 However, international investors looking to buy here should hire both a notary and a local lawyer to get expert advice for navigating the real estate market. Elsewhere, buying property on a freehold basis is not an option for international investors. In Tanzania, where the bulk of the country’s real estate is government owned, foreigners can only occupy land when it is intended as an investment. This can be done by obtaining a right of occupancy through the Tanzania Investment Centre. In other countries, foreign ownership is often restricted to a leasehold basis, such as in Kenya where international buyers can acquire property only on a 99-year lease.